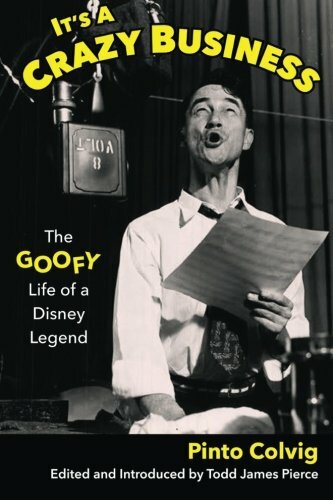 Disney Legend Pinto Colvig, best known as the voice of Goofy, wrote a book in the 1940s primarily about his years working for Walt at the Disney Studio. The book was packed away and forgotten, until now. You've never read anything like it. Pinto writes in character, elevating his book from mere journal to an important piece of Americana, and allowing him to evoke long-gone people and places with astonishing immediacy. You'll follow him from rural Oregon to Hollywood and the Disney Studio and finally to an institution as he recovers from a nervous breakdown brought on by his vocalization of Grumpy the Dwarf. The life of a comedic genius: in his own gag-strewn words!